So, this post was supposed to go up a few days ago, right as I was saying that I have finally resolved to stick to a strict, every-other-day schedule of posting. We all know that I'm unreliable when it comes to timing (you can thank my Persian roots for that), but this time, I have a real excuse--last-minute packing and flying across the world took a bit longer than expected. Yes, *sigh* I am back to the unbearable heat, piercingly loud cicadas (were they always this loud!? ), and over-sized fried food that is Oklahoma, USA. (Psst this doesn't mean I'm finished with my post from Iran--still have a travel guide, more photos, and lessons learned coming your way!). 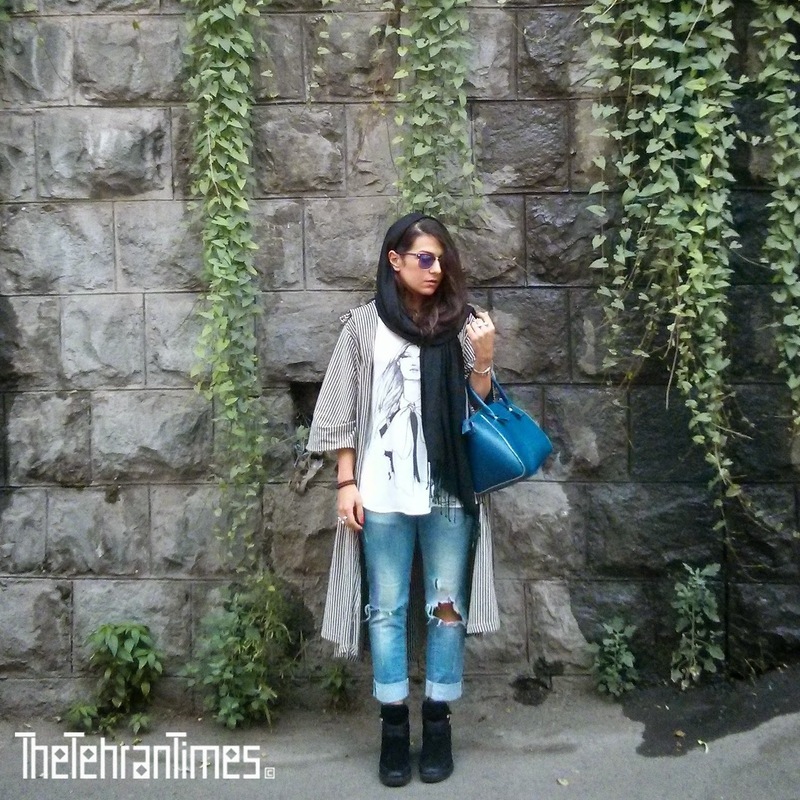 Anywhoo, as promised, here is a bit of Iranian streetstyle straight from the streets of Tehran, Iran! 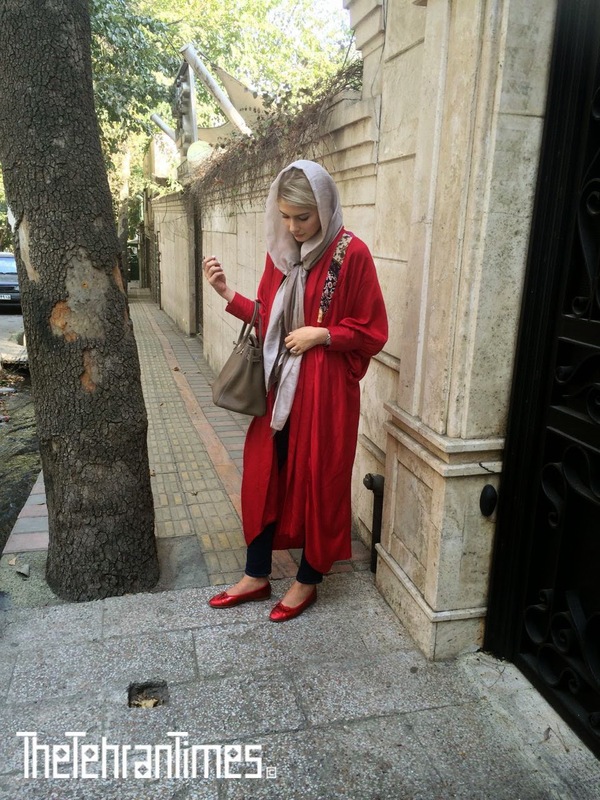 As I mentioned in my (everyday) outfit post from Iran, women in Iran wear a headscarf and manteau, or a long, light jacket that covers your backside. Most of the men that I saw were wearing some sort of button-up, usually lightly patterned. Iranians mostly dress up when leaving the house--I have not yet seen anyone on the streets in sweats, and very few without makeup. As you can see from the photos, the dress codes in Iran (whether you agree with them or not) are far from hindering personal expression exuding through fashion. Update (2016): We just published the first-ever collection of in-print fashion photography from Tehran, Iran! What a way we came from this post. Check it out here. 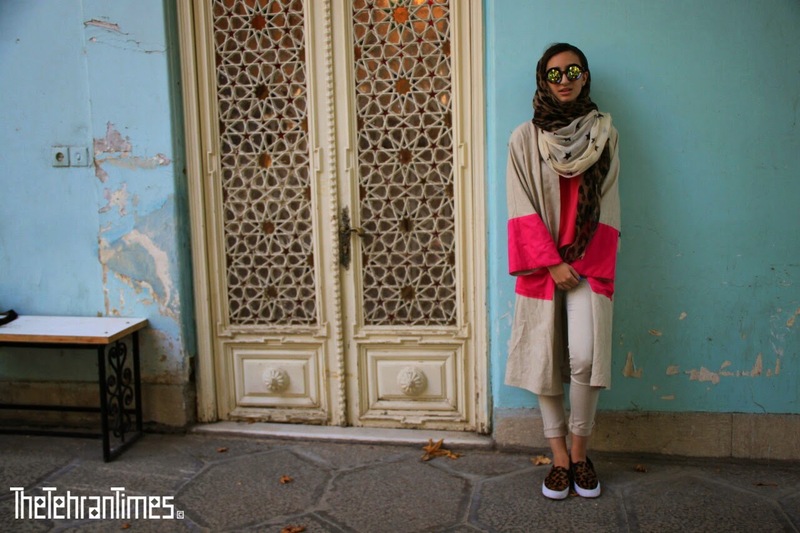 If you enjoyed these photos, be sure to peep my Tehran Streetstyle Book, out now! Love these pictures !!! So gorgeous !!! The fashion game is definitely on-point in Iran! hahaha yes, there are definitely strong fashion taboos in Iran! I don't wear makeup myself and always felt like a young child! These are great photos! This just goes to show that modesty can be totally chic and fashionable! I will be using these for outfit inspiration in the future. Great style and eyewear options. I love the Iranian style. Thanks for sharing. beautiful photos, love the different styles showcased. 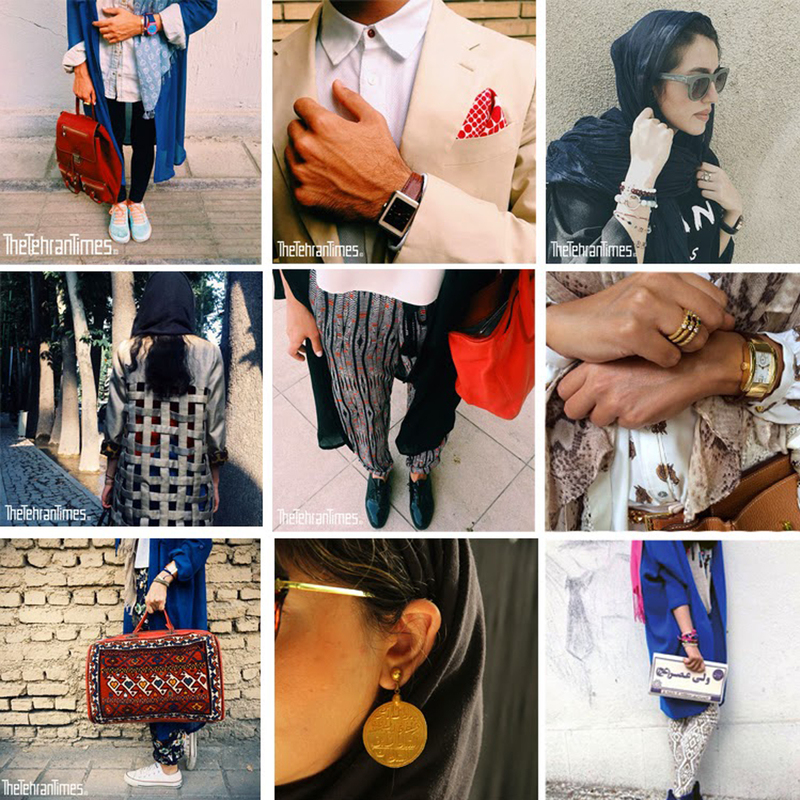 Wow, thanks for the insight into Iran's awesome street style! I love the dapper suits the guys are wearing. And thanks for the kind words! Haha, I definitely haven't forgotten my independent post :) It just makes me sad to lose a friend...sigh. Ah well, life moves forward, and it's best to have your true (and fake) friends revealed early on! Erp having a bit of technical difficulties with the comments--new comments can be posted, but old comments are, for the time being, not visible. We're working on fixing this soon, thank you for your patience! Gosh, I know. Guys are always killing the suit game..
Ohhh, yay!!! I've been so excited about this post!!! I do have a question, though. I know it's mandatory for women to cover their hair in Iran, but many of the photos about have lots of hair sticking out. Is that allowed, or must the head covering cover ALL of the hair? I've read your post about head coverings and the hijab, and how some women choose to wear theirs like that, I was just wondering about this in terms of women in Iran specifically. Once again, thank you for sharing, and I look forward to your upcoming posts!!! Ah, great question! In Iran, the law is simply to cover your hair--an amount, exactly, has not been specified (as far as I know). As most women in Iran show quite a bit of hair in public, this has become rather mainstream in Iranian fashion, and, for the most part, you will not be stopped/ticketed. Only in some cases, when the women's makeup is v e r y excessive, she is wearing very short and tight clothing, AND most of her hair is showing might she be stopped. And again, this doesn't always happen. There is some degree of chance, as well. Personally, I wore shorter clothes than most of the other women, but on the other side of that a lot less hair was showing and I don't wear makeup at all, so I wasn't stopped because of my dress code. The same goes for the hijab. And yes! I know when I saw those bags in Iran I first thought of Morocco! But Iranians have a very similar traditional design that they also put on bags, shoes, etc. Haha as for men dressing up--indeed! I wish this could come to the USA, as well aha. Most men in Iran actually wore tucked-in button-down shirts + a nice belt + pants. It was definitely refreshing! Can I just say, thank you for this post. People never see this side of our culture. It really is especially beautiful and creative how these women work around the Hijab, religion does not limit individuality and this is a perfect example of that. YOU'RE IRANIAN!? AH welcome to the blog, azizam! I love meeting Iranians in the blogging world! (you automatically have found a new reader in me, hahaha). And yes, actually, that is one reason that I made this blog JooJoo Azad--no one knows anything about Iran or Islam, and I think it's particularly important to understand, especially in the current political climate, the realities of these!